This happy verse makes a wonderful gift for any tennis friend, or for yourself. I've played tennis for years and have loved it for as long as I've played. I've even written a couple of wonderful tennis books (both on Amazon) that help a player increase their effectiveness as well as enjoyment of the game. 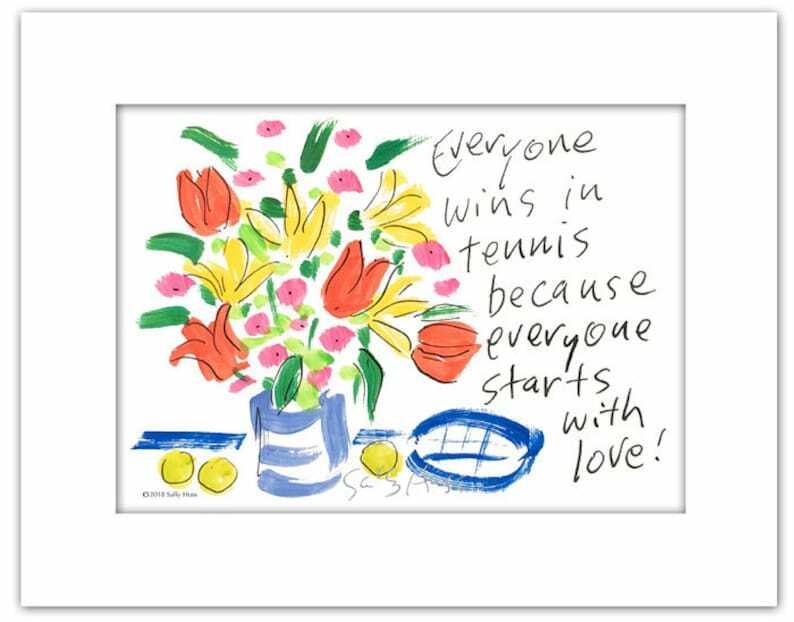 Yes, everyone wins in tennis just by playing! This piece is a hand-signed, matted 8"x10" print and will fit into any standard 8"x10" frame. It was created in 2018. Enjoy!